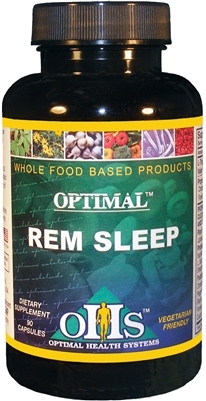 Optimal Rem Sleep is a potent whole food formula that supports healthy sleep patterns. This formula is not habit forming and can also be taken to support the body during times of high anxiety. The first thing the OHS Team had to do was throw out the research regarding which ingredients attempt to FORCE sleep. They then focused on the scientific literature regarding whole food nutrients that have been proven to help produce natural sound sleep patterns. This is done by relieving stresses, calming your mind, and providing nutrients your body needs during REM sleep. Obtaining REM sleep is based on three main factors. The first is calming the body and mind by supplying nutrients that help with stress, anxiety and the emotional factors that keep you from getting to sleep. The second factor is ensuring your body has the whole food nutrients that cause you to remain in REM sleep. Many times the body is in need of specific nutrients while you are sleeping. When they are missing, you automatically stir or are startled out of REM sleep because of the disruption of your body searching for those nutrients to no avail. The third and most critical factor is to ensure that all of the nutrients provide the body with a delivery system to guarantee they are sent to the cells of the body. It is essential that they are in a pure whole-food form so the body can choose to use them as it needs. The REM Sleep nutrients must have a cultured medium that binds the ingredients to other whole foods and digests them as the body needs. This critical factor is what sets Optimal REM Sleep apart from other products that contain the same basic ingredients, but without a system to get them to where they are optimally used. It’s like having an engine sitting outside of a car. The car has the potential to be very fast, but without the engine it just sits. The main ingredients in Optimal REM Sleep are the engine. And this delivery system is just that – a “system” giving the body the ability to take and utilize those nutrients as it needs… as slow or as fast as it sees fit. OHS Cultured Media is a proprietary blend of over 40 organic-based nutrients, whole foods, plant enzymes, stabilized probiotics and minerals. This blend delivers all of the REM Sleep nutrients to the cells and receptors of the body for the highest potency and utilization possible. Have you ever wondered why some people benefit from herbal and vitamin supplements and others do not? It’s because of your body’s ability to deliver the nutrients to the cells in their proper and most potent form. This is what OHS Cultured Media does. 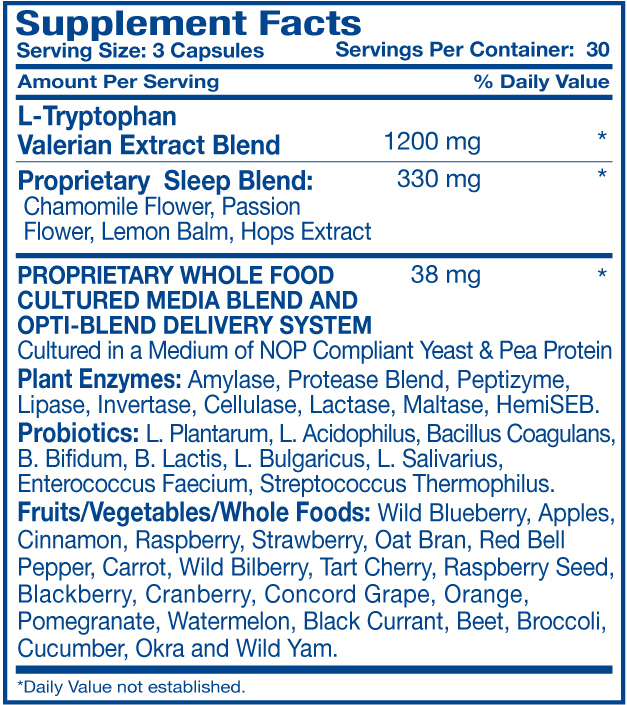 It provides co-factors, digests and delivers the nutrients at the cellular level for Optimal REM Sleep. Probiotics: L. Plantarum, Lactobacillus Acidophilus, Bacillus Coagulans, Bifidobacterium Bifidum, B. Lactis, L. Bulgaricus, L. Salivarius, Enterococcus Faecium, Streptococcus Thermophilus. After using this product for a little over a month, I am no longer experiencing difficulties falling asleep and staying asleep. After an eight hour sleep, my body awakes refreshed and not at all drowsy.